All the types of the equipment are similar to the AC type relays. These products operate from 75 mV standard DC shunt and require auxiliary supply for their operation. 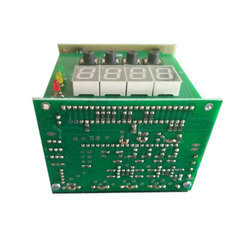 Optionally the relay can also be customized to work with User-specified shunt. We offer a unique and useful range of protectors which is specifically designed for shear pin replacement. The shear pin is known to unfasten the motor from the load by breaking itself when the load increases beyond the threshold level. However, inherent uncertainties of the material quality are associated with the replacement of shear pin which renders it relatively unreliable. Looking for Protection Relays ?